Nice video by Jim Grizzly Kent about aiming and focus with archery, which is worth viewing. Recently I had a couple of questions sent to the blog by one of my readers. It’s always good to have feedback and if I can help I will. The subject matter of the questions posed are ones I think many would find interesting as one concerns the concepts of aiming and the other is on reducing the size of your grouping in the target. There are a couple of things to consider here. One is focus on target with the other being arrow alignment. When I first started archery I was very aware of the arrow. Sighting down the arrow to ensure it was pointing the right way. This is what is taught to most archers to ensure they are lined up with the target. I find now that I only do this when using a new bow or one I’m unfamiliar with. The rest of the time it is purely subconscious. I try to fix my focus on a spot on the target where I want my arrow to hit. So the simple answer to this question is no I don’t let my focus wander. I try to keep my point of focus set on where I want to hit. This is far easier said than done and takes practice and concentration. I find if my eyes wander, then the arrow will follow where I am looking and not where I wanted it to go. Sharon and I both use this technique. It takes discipline and practice, a lot of practise and I don’t think I have fully mastered the technique yet. The only problem is when you can’t pick a point on the target due to poor lighting. Something that can happen on shoots or at the end of the day as the shadows increase and light begins to fade. Some of you will be aware that I’m not a gap shooter and consider myself as instinctive archer. Subconsciously my brain or should that read brain cell ☺is calculating the distance and telling my limbs when to release when i have where drawn up to. Great in theory but requires constant practice to maintain that awareness and internal sight map. It is also very fatiguing as it takes concentration of all things to relax and not second guess yourself. Obviously this method doesn’t work for those archers using scopes or sights as they have to calculate the distance to be able to adjust the sights accordingly. The mindset of the author and style of writing is one I have found easy to follow and explain to others. The concept of one arrow shooting I find beneficial for developing focus. 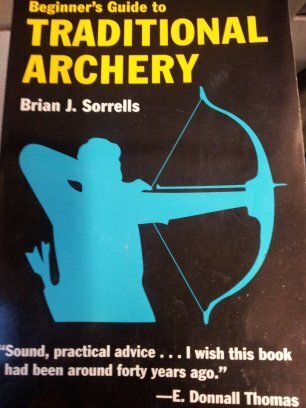 Here the author explains how you shoot only one arrow and then retrieve it and shoot again. This helps you focus on the individual shot and your form. Another useful article is this one on various forms of aiming. It covers different forms of aiming from instinctive to gap shooters. In the next post I will try to answer the question on improving grouping.